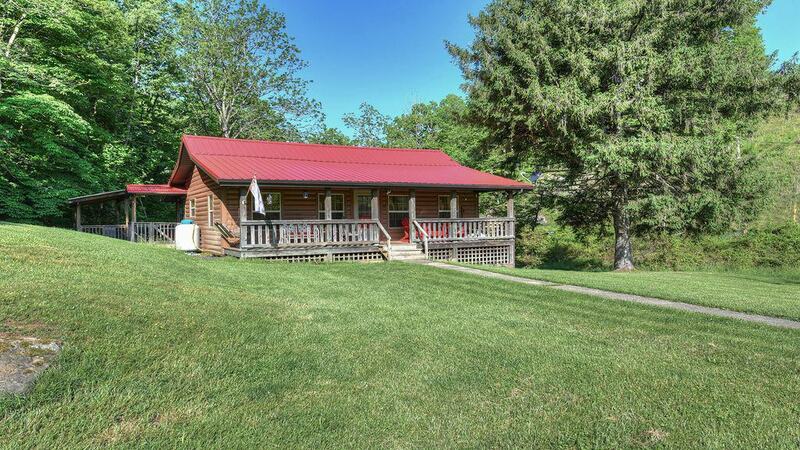 This great 2 bedroom 2 bath log home will take your breath away.Listen to the creek and enjoy the waterfall. Enjoy an evening watching the stars from the hot tub, watch movies or just relax on either the great deck overlooking the backyard and waterfall or sit on the front porch and watch the mountains and the cows. You can relax by the gas fireplace. Home has central air and heat, Wireless internet, washer/dryer, fully stocked kitchen. Open Year Round.Paved access roads. Very easy access and plenty of parking for trailers or an RV.